Pancakes… who doesn’t like them??? There seems to be a few dates in the calendar when it is most appropriate to get out that pancake/crepe frying pan & whip up a batch! Firstly – a Belgium tradition that falls on the 2nd of February is Candlemas/ Lichtmis which translates to “mass of light”. Taking place 40days after Christmas – it celebrates the halfway point between the winter solstice & spring equinox (and in many places is considered the start of spring). It is also the religious day when the Virgin Mary presents baby Jesus to the temple for the first time. And it seems that on this particular day, certain foods are quite traditional – i.e. crepes, pancakes & cakes (all grain based). According to the wide-world on the web, Pancakes & Crepes are considered symbols of the sun because of their round shape & golden colour. 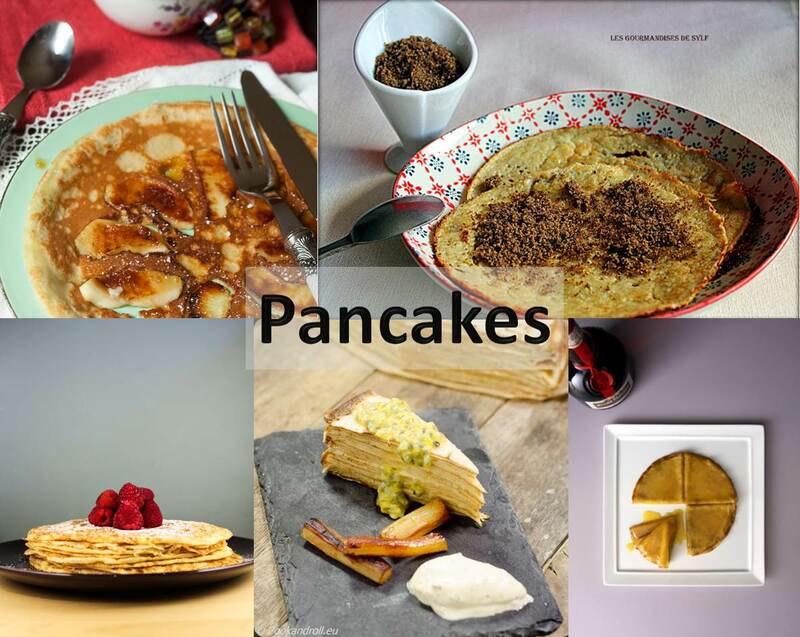 We start off with Annelies of Liezie Peasy & her traditional Lichtmis Pancakes recipe – because there is nothing wrong with keeping it simple! While Sylvie of Les Gourmandises de Sylf shows us how to make Oatmeal Pancakes! Myriam of Hap n Tap shakes things up by incorporating baked apples into her pancakes. And finally – Cuberdon & Macaron shares a traditional Crepe Suzette recipe that you can’t go wrong with. Do you have a pancake recipe that you want to share with us? Add your link in the comments section below!